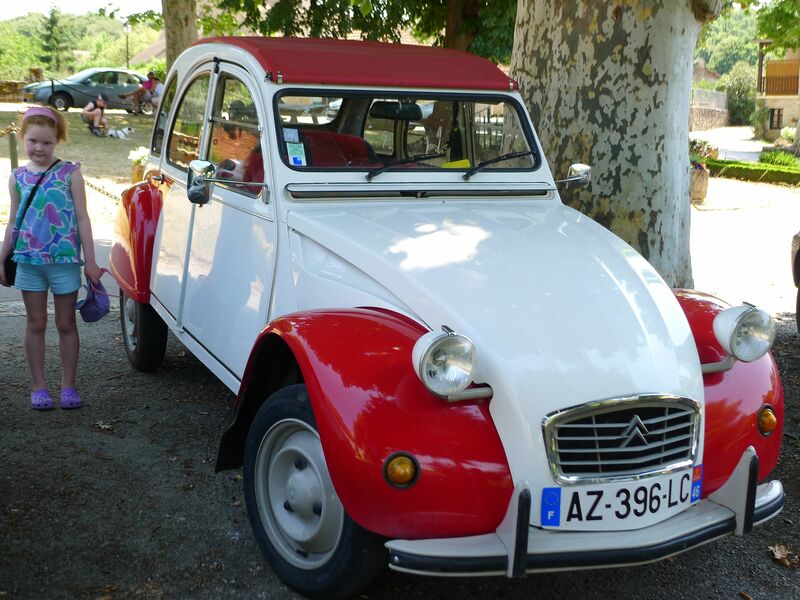 Chris declared the Citroen roll-top the unofficial car of The Lot and quickly pulled ahead in the race – to the tune of 10-0-0-0. That meant that the kids pretty much refused to play. I have managed to sneak up in the ranks a bit, but I think he is still the clear front runner in this race. These are the official cow of The Lot it seems, as there are virtually no other cows. 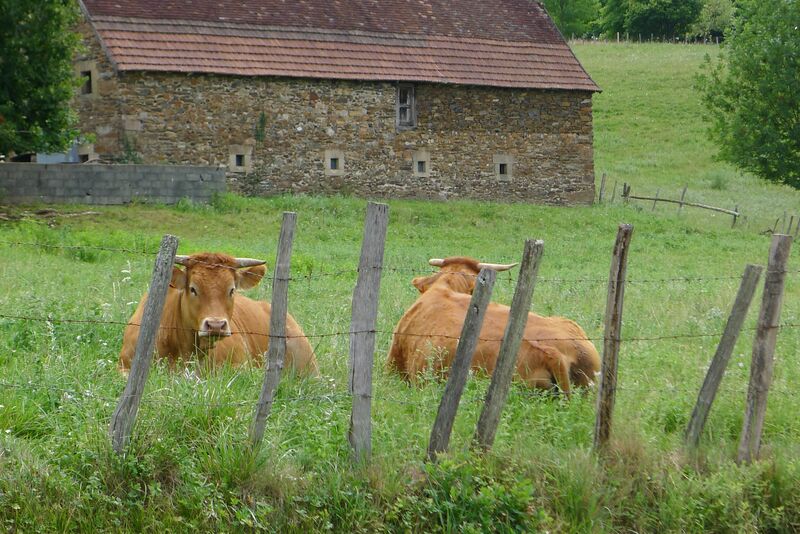 They are called “Salers” and were bred to make cheese in the mountains. They are excellent foragers, just in case you needed to know. And finally we offer you a curious combination in our neck of the woods: the horse and the donkey. There are a lot of these combos around. Can’t seem to figure out why, but they seem quite happy together, even though they look a bit coy at the moment.